This sterling silver mountain necklace will capture your heart! 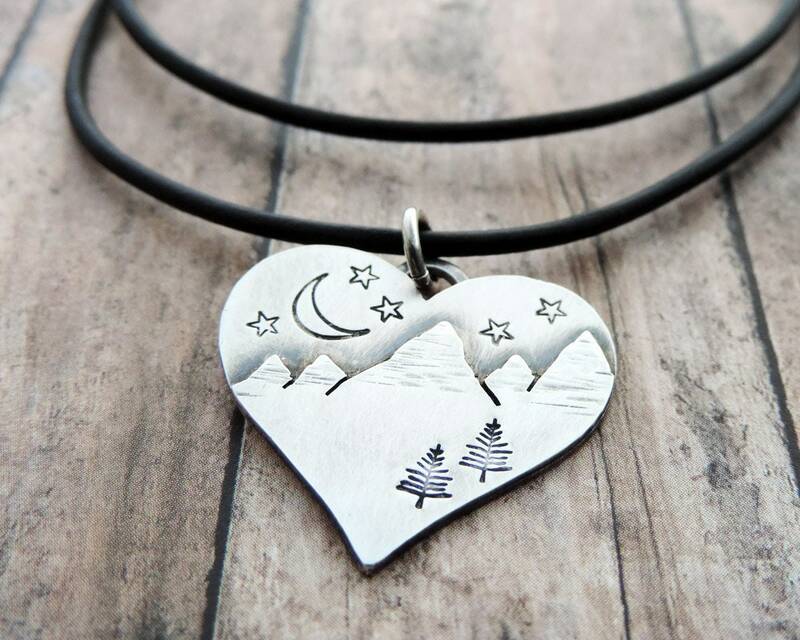 The mountain design is hand drawn and cut from sterling sheet and soldered to a sterling background. It is accented with pine trees, a crescent moon and sprinkling of stars.